Now is the perfect time to set some goals and implement a system for tracking success. 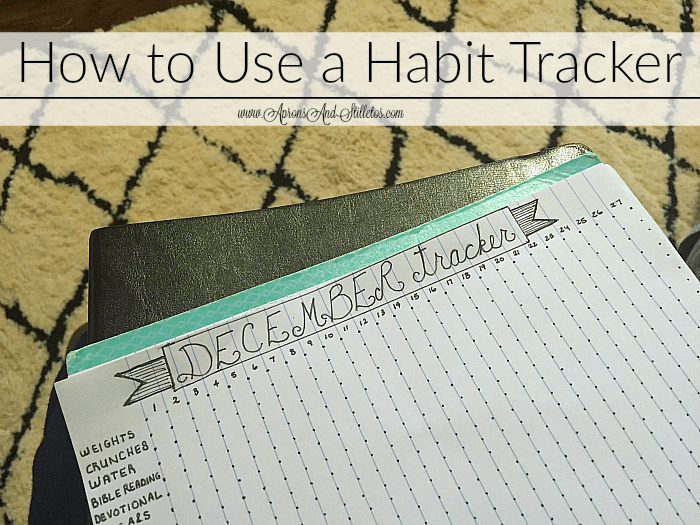 An easy way to track actions that get you closer to a goal is by using a habit tracker. In a nutshell, my system is the daily tracking of actionable steps toward a new habit. My habit tracker let’s me notate on a daily basis which tasks I’ve completed. It’s super easy to make, convenient and useful in seeing where you’re doing good. I’m so much better at visually demonstrating things, so here’s a quick video tutorial of my December tracker. In the video I share how I created it and I’m tracking and how. For more helpful planning, organizing and tutorial videos watch them here.